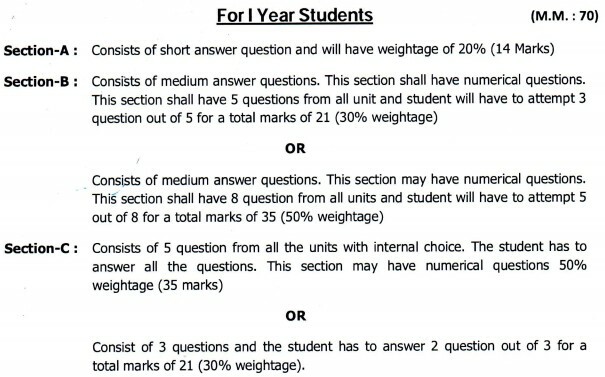 Dr. APJ AKTU or UPTU Lucknow Noida Region Odd Even Semester Question Paper Format Pattern official announce on aktu.ac.in circular in which information given like Number of question per paper, How many question students need to attempt, Number marks or weightage per section per question, Passing marks. We try to provide you best detail about AKTU or UPTU semester examination question paper format pattern like number of words or letter or sentence is sufficient for 2 marks short answer type question, 10 marks medium answer type and 15 marks long type answer type. The following Guideline with new pattern must be followed for preparing of question paper and question bank Official announce on aktu.ac.in. 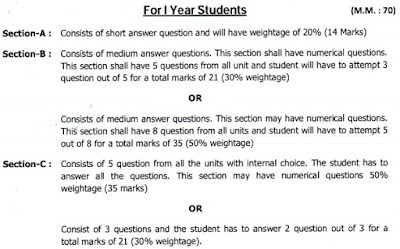 Question paper pattern should consist of three types of questions, short answer type, medium answer type and long type answer type. Paper may be divided in three section such as A, B and C.
First type question should have ten parts without any internal choice. 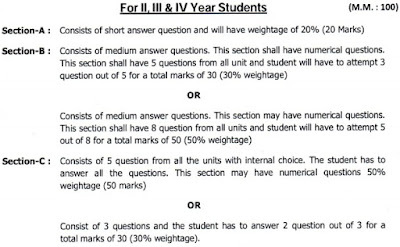 Second type of question may have five (out of eight) and third type two (out of three). All types question shall cover complete syllabus. The limit of answer for first type question may vary from one word to maximum of thirty words with approximately 3 minute each. Second type of question may be kept approximately 250 words of about 15 minutes each and third types of approximately 400 words of 30 minute each. 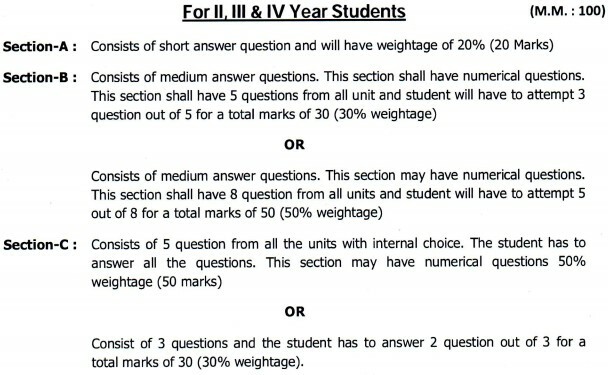 Marks may be kept 2, 10, 15 with maximum 20(=2*10), 50(=10*5) and 30(=15*2) for first, second and third types respectively with total 100 marks. Question may be categorized as per the complexity level. These should be memory based, application based and evaluation/reflection based. The long question may preferably consists of several parts depending on type of courses contents.